This memorial website was created in memory of our loved one, Berthold Beitz, 99, born on September 26, 1913 and passed away on July 30, 2013. 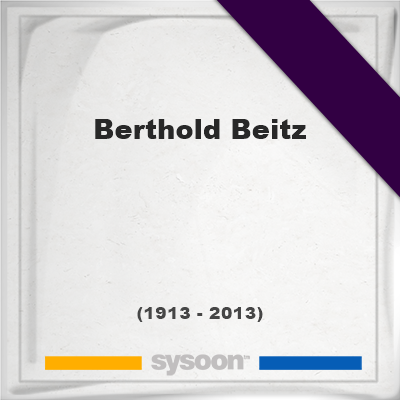 View the latest documents, pictures, photos and images of Berthold Beitz or upload the files of your loved one. Memorial of Floyd Adams, Jr.